Below is a listing of the various presentations that I am currently giving. If you would like for me to present something to your group or company, please feel free to contact me. I would love to have the opportunity to present! Depending on location, I am more than willing to do a remote presentation or be on site. I’ve also included my speaker bio for easy retrieval. John Morehouse is currently a Consultant with Denny Cherry & Associates living in Louisville, Kentucky. With over 2 decades of technical experience in various industries, John now focuses on the Microsoft Data platform and specializes in Microsoft SQL Server. He is honored to be a Microsoft Data Platform MVP, 2016 Idera Ace, Friend of Red Gate, Sentry One PAC member & Community Ambassador. John has a passion around speaking, teaching technical topics and giving back to the technical community as much as possible. 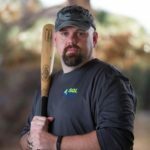 He is a user group leader, SQL Saturday organizer, and former PASS regional mentor. He is also a blogger, avid tweeter, and a frequent speaker at SQL Saturday’s as well as other conferences. If you want to find John, you can find him on Twitter (@sqlrus) or on his blog, https://sqlrus.com. In an on-premises world many organizations did not have the option of multiple data centers or were limited in what that they could protect from disaster. Moving to the cloud evolves many technologies—disaster recovery being one of the most prominent ones. It can be quick and easy to protect your application in multiple regions worldwide. For any critical application disaster recovery should be at the forefront of your planning. The cloud does not change this. In the event of a regional outage, you still need to meet your recovery objectives. If you aren’t prepared for this failure, the downtime could be costly. In this session we will examine the ways to help protect your Azure Data footprint from outages. You will learn about strategies with Azure SQL Databases, virtual machines, and Managed Instances as well as how to protect your application tier. At the end of the session you’ll have a better understanding on how to ensure your data in the cloud is protected from failure. Technology moves at a blinding pace and the SQL Server platform is no exception. With the release of SQL Server 2019, you will see some great improvement in the database engine of the platform. In this session, you will examine some of the new features of SQL Server 2019 such as Accelerated Database Recovery (ADR), resumable index creation, UTF-8 support, online columnstore rebuilds, an improved data truncation message, among other features. After this session you will have a better understanding how you can leverage SQL Server 2019 to enhance your database environment. Database Continuous Delivery & Your Salvation! Continuous Integration & Delivery isn’t a new concept. Application Developers have been doing it for quite a while and now it’s time for Database Professionals to catch up. Whether you are a database administrator, database developer, or even an application developer, database continuous delivery can help you find your salvation. I’ll show you how to apply these concepts to areas of security, collaboration, testing, support and deployments. We will look at what continuous delivery means, demonstrate some tools that can help you easily get it into place, and dive into why it’s important. 10 Things Every DBA Should Know! Are you new to the world of Databases? Are you a developer wanting to improve your SQL Skills? If you answered ‘Yes’ to either of those questions, then this is the session for you! John will be reviewing things that he’s seen in his experiences working with databases that every DBA should know and understand. He will demonstrate and\or explain every day things like Auto Shrink, SELECT *, Index Basics and 7 others! You will leave this session walking away with knowledge you can implement right away. Only You Can Prevent Database Fires! Do you find yourself constantly putting out “fires”? Can’t take anymore heat in the data center? We as DBAs can easily become burnt out with dealing with these daily blazes. Wouldn’t it be grand to learn how to prevent these fires from scorching us to begin with? In this session, we will jump into things you can start implementing as “fire prevention” to stop the “fire fighting”. We will talk about several things that you can take back to your shop and put into action easily ranging from code tuning, backup maintenance, monitoring and performance tuning! Social Media is all over the news today. Did you see that on Facebook? Johnny 5 said what on Twitter? Can you believe Susie moved to that company? Do any of those sound familiar? No? Never heard of Twitter or LinkedIn? Have no fear, this is the session for you! Social networking can be a very confusing and intimidating place. What makes it even worse, is when you have no clue even where to start. In this session, we will go over different facets of Social Networking and Media and how you can use them to enhance not only your personal lives but just as importantly, your professional one. For example, did you know you can get help from some of the top minds in the SQL Server profession by using the #SQLHELP hash tag for free? We will show you how! We’ll be covering that and more using Facebook, LinkedIn and Twitter. Backups & Restores: You’re Not In Kansas Anymore! There is no place like home, there is no place like home! When a database crashes and you have to recover it, this may be what you’re saying to yourself over and over. It can feel like a house just landed on you if you’re not prepared. Ok, not really, but recovering a database from an unexpected event is often just as terrifying! If you aren’t prepared for it, it’s really going to hurt. So what do you do? You prepare. You plan. You practice. We’ll talk about how the backup & restore process works in SQL Server and how it can help you to prevent a Wizard of Oz situation! It’s not a question on whether or not the landscape for the common DBA is changing. Without a doubt, it is. Azure offers up a new world of possibilities for DBA’s and we should all strive to learn it. In this session we’ll cover some basic knowledge and terminology of Azure as well as how easy it is to incorporate Azure into your environment. We will stand up a new Azure virtual machine as well as a setup SQL DB. You will see how easy it is to accomplish this. This new found knowledge will help propel your career into the new landscape. It seems more lately than not, there are daily stories of a data breach somewhere. Data security is one of the most critical things a data professional should be aware of. Now, there are several ways of implementing data security in today’s world. SQL Server comes with several native data encryption methods that you can use. In this session, we will explore the basics of data encryption, how to implement some of them, some gotchas as well as some of the newer features of data encryption in newer versions. SharePoint is a popular for many organizations. It has several different facts such as document management, file storage, and collaboration. These facets while enabling productivity and collaboration with end users can cause serious concerns for the database administrators. In this session we’ll look at how SharePoint works with Microsoft SQL Server including performance issues, configuration, database management, security and disaster recovery. This will help you to collaborate with your SQL Server DBA to ensure your SharePoint environment is running as best as possible. A common issue database administrators face is data auditing. Many use triggers, CDC, third-party tools, or roll their own type of auditing tool. In SQL Server 2016, a new feature called Temporal Tables was introduced and helps to simplify this common need. In this session, we will take a look at what temporal tables are, how they work and how you can implement them into your environment.